Week 7 has come and gone. Last week, I took a pretty big loss. Would I be able to bounce back this week? On Tuesday, I started off with a loss. Wednesday I had a gain. Thursday, I had another loss. I didn't play on Friday. Saturday, I finished with a gain. Sunday it all went downhill with another big loss. I didn't play Monday so that finished the week off with another loss! Each sport that you play you perform different as a player. For instance, my best sport is fantasy basketball. Each contest type that you play you perform different as a player. For instance, my best contest type is guaranteed prize pool tournaments. However, if you look at different sports your best contest type may be different. For instance, even though overall guaranteed prize pool tournaments are my best contest type in NFL and MMA Triple Ups are actually my best contest type. In MLB Head to Head games are my best contest type. 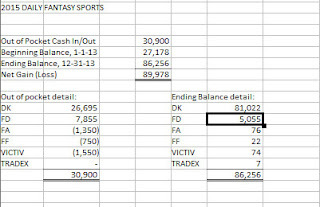 If you want to have long term success in fantasy sports it is important that you track your results by sport and contest type. By knowing what sports and contests you are most successful at you will be able to maximize your capital to produce the maximum return on investment in fantasy sports. There are several ways you can track this. If you are old school you can track it by hand in a notebook. You create a ledger where you list your available balance. Then you write each contest type, the entry fee and your winnings. If you are a little more technology savvy you can use a spreadsheet program like Microsoft Excel, Apple Numbers or Google Sheets. Store each of your contests in a spreadsheet and create formulas to calculate how you are performing in each contest type. There are also a number of tools that will help you calculate your results online. I personally use a tool called DFS Analyer. By exporting my contests from DraftKings and importing them into this tool I can get my results broken down by sport and contest type automatically! Week 6 has come and gone. Last week, I closed the week out with a very tiny profit. What about this week? On Tuesday, I started off with a loss. Wednesday featured a small gain. Then the week went all downhill from there. Thursday, I took another loss. Friday, I took another loss. Saturday I took an even bigger loss! I took Sunday off and finished off Monday with yet another loss! Today I want to talk about the power of Las Vegas Odds for fantasy basketball. 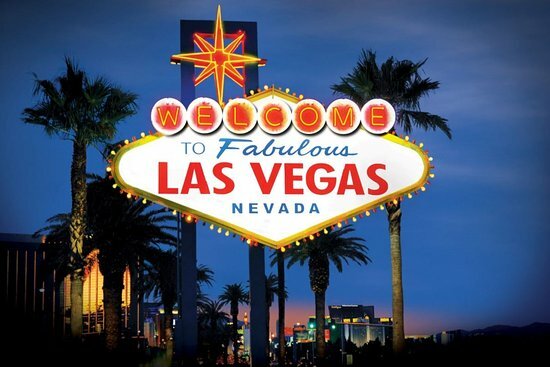 Las Vegas has an entire city that is funded and supported by the gambling industry. Their ability to get equal action on the betting of sports contests is essential to being able to run a profitable business. If they fail to get equal action and the side that is getting the most action wins, Las Vegas goes bankrupt. This is why it is so important for them to make sure that the odds that they set for sports contest are accurate. As a fantasy basketball player you are doing yourself a HUGE disservice if you are creating lineups and you are not looking at the Las Vegas odds. They are such a powerful tool at predicting fantasy performance. There are plenty of websites that you can check out to look at the Las Vegas odds. I like http://scoresandodds.com/ for basketball, baseball, football and golf. For mixed martial arts, I like to look at https://www.bestfightodds.com/. While this article is going to be about basketball, looking at the Las Vegas odds is something you should be doing regardless of what fantasy sport you are playing because the concept and the reasons for doing so are the same across all sports. One of the first things you want to look at is the OVER/UNDER. The over/under in basketball is the total number of points that Las Vegas predicts that both teams will score in a basketball game. Scoring is important in fantasy basketball because your player that you draft gets 1 fantasy point for every real life point he scores and 2 fantasy points for every assist that he gets. Therefore the higher the over/under the better the chances are of the players that you select scoring fantasy points. An average scoring over/under game is somewhere between 200 to 205 points. Games with an over/under lower than that are projected to be low scoring games. Games with an over/under higher than that are projected to be high scoring games. How does this relate to fantasy basketball? All things being equal, you want to choose the players who are going to be playing in HIGH scoring over/under games and avoid the players who are going to be playing in LOW scoring over/under games. The second thing you want to look at is the SPREAD. The spread is the total amount of points that Las Vegas predicts that the winning team is going to win by. Why is this important? In a game that ends in a blowout, where one team wins by a large margin, both teams typically take out their best players and let their bench players play more minutes. An average game has a spread somewhere between 3 to 6 points. Therefore, all things being equal you want to target players who are going to be playing in games with an average or close game spread and avoid players who are going to be playing in games that are likely to result in a blowout. The final thing you want to look at is the moneyline. The moneyline shows which team is the favorite to win the game and which team is considered the underdog. The favorite team typically has a negative moneyline (i.e -185). The underdog team typically has a positive moneyline (i.e +150). All things being equal, the team that is favorite to win is most likely to have players who score the most fantasy points. As you pick the players for your lineups, you want to factor all three of these elements into play. The ideal environment for fantasy points scoring is a game that has a HIGH over/under with a LOW spread. This means that Las Vegas expects this to be a high scoring close game. You can target players on BOTH teams in a game like this. Some players in their tournament teams will do what is known as STACKING, where they will build an entire team based mostly on players playing in this high scoring close game. If you are targeting a game that is expected to be a blowout, then you want to target the players from the team that is favorite to win. For your tournament teams, you can also take a chance on some bench players from BOTH teams in this scenario as there is a chance that those players can get some extended playing time and exceed the value of their fantasy salary. Make sure you are using Vegas odds when building your fantasy teams. If you aren't, please make sure you challenge me on DraftKings and send me all your head to head games. You will absolutely lose to me if you are not looking at this! 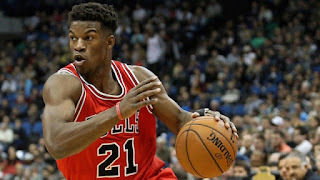 (Jimmy Butler caused many daily fantasy players problems when he was scratched from a game after lineups locked on February 4th 2017. Week 5 is in the books. Last week I finished with a nice profit! Let's see how I did this week! Tuesday January 31st to Monday February 6th. This week started off with a small loss on Tuesday. On Wednesday I had a small win. On Thursday I had another small win. On Friday I had a nice win. On Saturday I took a big loss in MMA. I didn't play Sunday or Monday. All in all I finished the week with a very tiny profit. Today I want to talk about the concept of late swap vs no late swap and how it impacts how you play the game of fantasy sports. When you play fantasy sports there are two types of rules that you can play under when it comes to setting lineups. The first is late swap. The second is no late swap. If you are playing under late swap rules this means you can make changes to a position in your lineup for that sport right up until the time that the game starts. So for instance if you have Carmelo Anthony in your lineup and The Knicks play at 8:30pm local time you can replace Carmelo Anthony with any other player at his position who also hasn't started their game yet until 8:30pm. After that, he is locked in and you cannot change him anymore. If you are playing under no late swap rules this means once the FIRST game that is a part of that game slate begins...you can no longer make any changes to your lineup. You are locked in and whatever happens...happens. For a long time one of the biggest differences between DraftKings and it's largest competitor (prior to them merging that is) FanDuel was the rules about late swap. FanDuel did not allow late swap at all. DraftKings allowed it. So this year for the NBA season DraftKings changed its policy and no longer allowed late swap for basketball only. Their thought process is that casual fans want to be able to set their lineups by 7:00pm and just watch the games. 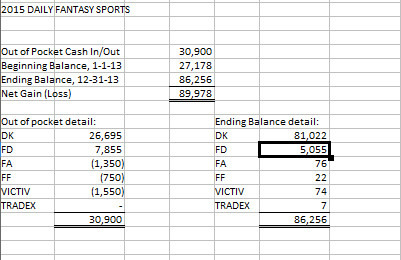 The problem is out of all of the major fantasy sports basketball is the game that you need late swap the most! The reason why is because there are so many last minute scratches in basketball if you don't have late swap you are at some point going to select a player who is a last minute scratch. In sports like baseball, hockey, even football a little bit you can survive a zero in your lineup. In basketball, if you get a zero you are almost certainly going to lose that night. Sure enought DraftKings fans were INFURIATED when experiencing numerous incidents where their players were ruled out at the last minute and completely wrecking their lineups! This was just a bad idea by DraftKings. While you want to appeal to the casual fan it's most important to keep your serious players happy because they spend the most money! Removing late swap simply pissed the serious player off! In any case, the purpose of this article is to give you guidance on how to play in contests where late swap is allowed verses contests where late swap is not allowed. When you enter a contest that allows late swap, this offers you several advantages and one key disadvantage. The biggest disadvantage that late swap creates is if you want to just set your lineups up until the beginning of the contest and then do something else, other players who are more active can take advantage. What are some of the advantages that late swap offers you? The first and most obvious benefit is it gives you the ability to take out players who you find out will not be playing the game. For example, you might not find out whether certain players in the later games are going to be playing or not. If you have late swap, you don't have to worry about that because you can always swap them out if they don't play. Another benefit is you can make adjustments to your lineup based on how your other players are already playing. For example, if the players you are playing currently are having a bad night, you may want to swap out and take some higher risk higher reward players. You can also use late swap to give you an idea on what players are going to be highly owned. For example, if you see that a high salary player in the early game is 40% owned and there is another high salary player scheduled to play later, there's a good chance that this player might be lower owned. You may want to pivot to that second player because if they have a great game, they will be lower owned and increase your chances of having a more unique lineup. When you are playing in a contest that does not have late swap, there are some risks that you have to account for when making your lineups. For example, if you play players who are going to play in later games, you must understand that there is a risk that some of those players might not play the game. This is because the news on the status of those players won't come out until after lineups lock. If you play players who are questionable, those players are also being played at a risk. If their status will not be resolved until after the lineups lock, if they are ruled out you will not be able to switch them out. This will give you a zero in your lineup and unless a lot of people have that player a zero more than likely means you are going to lose. So make sure you know the difference between a contest that allows late swap and a contest that does not allow late swap. Adjust your strategy accordingly.